Home to a museum, store, library, and education department, the Makah Cultural and Research Center is a worthwhile stop if you’re visiting Neah Bay and the far reaches of northwest Washington State. What can I see and do at Makah Cultural and Research Center? The Makah Cultural and Research Center is the premiere destination for anyone who wishes to learn more about the Makah Nation, which has long occupied Neah Bay and the area surrounding it. 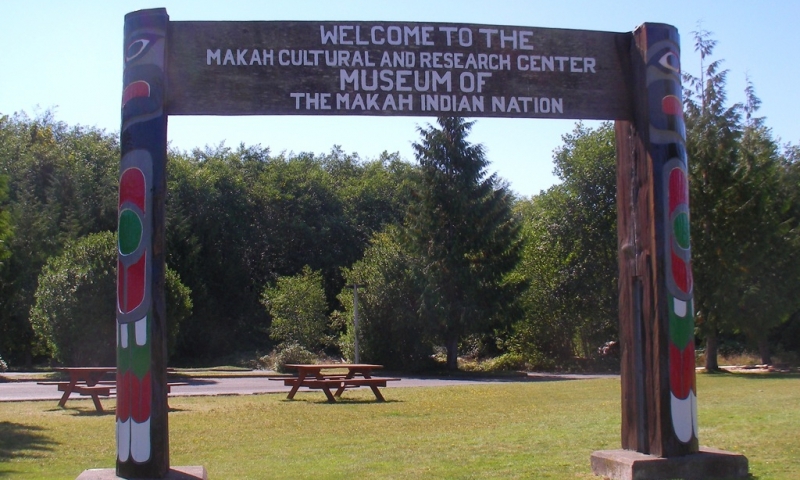 The main focus of a visit should be a trip to the Makah Museum, which features an expansive permanent gallery that includes a wide variety of artifacts that date from 1600 to 1800, recovered from the Makah Village in nearby Ozette, Washington. You’ll see native art and baskets as well as full-sized replicas of traditional canoes, a longhouse, 18 showcases full of photos and other items, and 3 large dioramas the kids will love. Step outside and you’ll find yourself in the midst of the Makah Cultural Center ethnobotanical garden, which features a beautiful array of native plants and is a great place for some photo taking. You won’t want to miss the chance to do a little shopping at the museum store, where you can take home lovely baskets and carvings made by members of the Makah Nation or purchase traditional souvenirs like t-shirts, keychains, and mugs. Proceeds benefit the Makah Tribe. Where is Makah Cultural and Research Center? The Center is located at 1880 Washington Highway 112, Neah Bay, WA. Take Highway 101 to Highway 113 to Highway 112. When is Makah Cultural and Research Center open? The Center is open daily from 10 a.m. to 5 p.m. It is closed on Thanksgiving Day, Christmas, and New Year’s Day. Harsh weather may also prompt additional closings. How much does Makah Cultural and Research Center cost? Admission is $5 for adults, $4 for students (with ID), seniors, and military. Children under the age of 5 are free. Group rates are available. For more information, call 360-645-2711. Or visit their website at http://makahmuseum.com/.